Our future is written by hopes, fears, dreams, expectations, and decisions made about life. In the same way, organizations have futures written by history, circumstances, culture, aspirations, successes, and failures. These already-written futures determine and shape the level of performance that's possible for individuals and organizations. 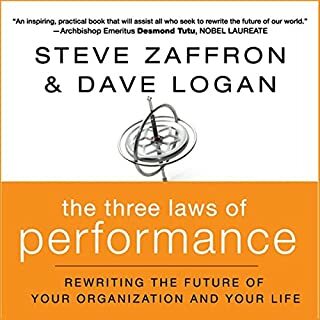 Authors Steve Zaffron and Dave Logan crack the code on rewriting the future for people and organizations, elevating performance to unprecedented levels.